Jamaica imports 1 billion dollars worth of food yearly due to inactivity within the agricultural sector. Agriculture students are graduating into their fields with few work prospects because of this. The profession of farming is now being looked down upon because of the lack of opportunities within this sector. If nothing is done, Jamaica's food security will remain in a state of emergency as imports increase and opportunities diminish. Through the 'Young Soldiers for Food Security' program, Farm Up Jamaica gives students from many agriculture schools the opportunity to gain practical farming experience by working on organic farms. 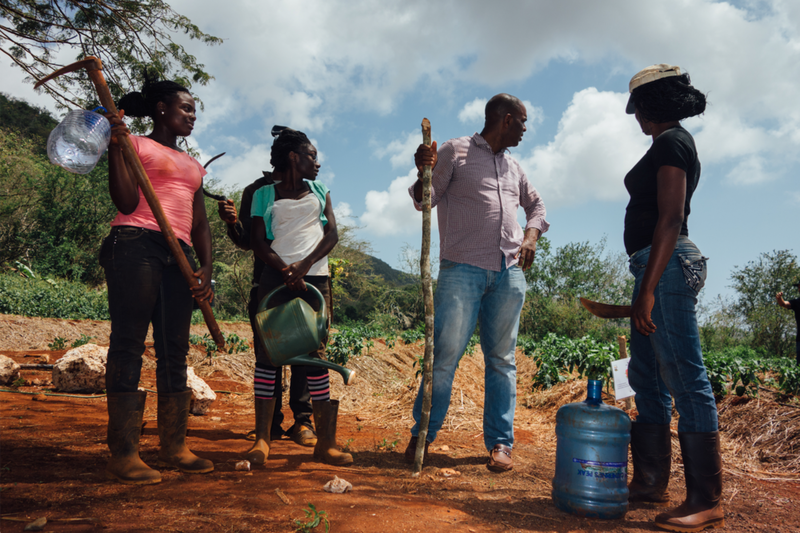 We provide them with transportation, room & board and a stipend to inspire them to create a vision that can positively impact their communities while preparing them to become Jamaica's next generation of environmentally-conscious farmers.